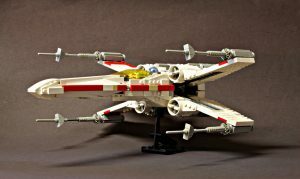 The Star Wars movie series has a number of iconic figures like Darth Vader and unique vehicles like the Millennium Falcon and the Death Star but none are quite as memorable as the X-Wing Starfighter. The Rebel fighter jet is noteworthy for its distinct design that creates an X shape. It is also prominent for having strong blasters and cannons, as well as missiles. It has been featured in many scenes in the Star Wars universe and can take down practically anything although only the most talented pilots can handle it. It is no surprise that many drone companies have made a few X-Wing drones in recent time. You don’t have to hold the Force in order to use one of these drones. You should still look at how these drones are made and what makes them so useful. These X-Wing drones are being made by an assortment of different companies. They are made drones designed after this famous aircraft but with their own particular features on each model. Propel has made its own T-65 X-Wing drone. It features a sturdy body with realistic features. It has three speed settings and even uses a push button feature for aerial stunts. It can go about 35 mph and even comes with its own display case. A laser system can be used to play tag with other drones from the same company. 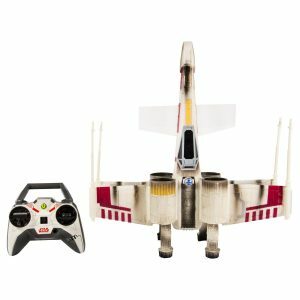 This X-Wing model is designed with a foam body and can work up to 250 feet away from its remote control, along with a decent flight time. Its laser cannons are also rather distinct. 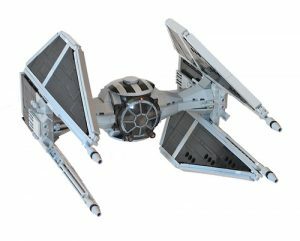 It uses a more basic design and can be paired with a TIE Fighter with a laser-based tag game in mind. It can be controlled at distances of up to 200 feet away. 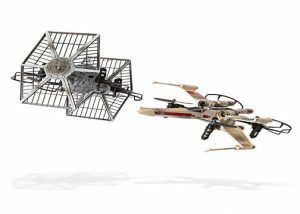 Considering how popular the series is—especially with its newest movies being such massive hits—it is no surprise that so many different companies are getting in on the X-Wing drone craze. 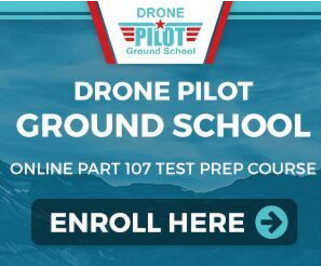 Each drone is different from one another so make sure you look at this when finding an option that fits your desires. How Are the Rotors Made? An X-Wing will use four rotors just like any other drone. How those rotors are designed and organized is important to see. In most cases, the rotors are positioned in a manner similar to how you’d have them organized on a quadcopter. The key though is that they are designed in spots that are made to keep them from being too visible. The rotors will often be incorporated within the landing legs. The Propel model is a good example of this. It creates a sense of balance while keeping the rotors protected. Plenty of energy is needed to keep the rotors moving so they won’t be at risk of struggling to keep your drone in the air. Reverse propulsion is needed to allow air to move out from the drone so it will easily work in many spots. Sometimes, like with the Spin Master drone, the rotors are outside the main body of the drone. This is often done to create a stronger sense of balance. 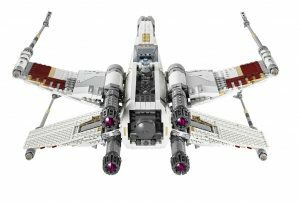 This is often for beginners though as those who are more experienced might have an easier time with handling an X-Wing with its rotors integrated into the body. The rotors are used to do more than just get the X-Wing up in the air. They also help with allowing the X-Wing to get up and take off just like what you see in the movies. An appealing feature of many of these drones, particularly the Propel and Spin Master ones, is that they can work with laser features. With such features in mind, you could get many drones of the same type together to play a game of aerial tag. With this, each drone would come with its own infrared laser sensor and projector. You could control it with a simple button on your controller device. When this is used, it can send out a beam that may be recognized by other drones on the same type. A beeping sound may be used when you have either contacted someone with your drone or someone has done it to you. This can work with as many drones as desired provided they are all from the same company and of the same model. It adds a special design that makes such drones all the more entertaining and fun to use. In the case of the Spin Master model, it can work with other drones that use the same laser standard. This comes as the X-Wing and, therefore, can be controlled alongside a TIE Fighter. Each of those two uses the same kind of laser system, thus allowing a Rebel vs. Imperial battle in the air. Of course, you would have to be cautious when using your drone in such a situation. Any kind of drone can be damaged by collisions with other drones in an area. Typical drones like these are powered by a series of batteries. You’d have to get at least six AA batteries for one of these drones depending on the model. Fortunately, the models listed here all work with the same 2.4 GHz wireless communication standard. This ensures that you’ll have enough control for getting the drone up in the air. The use of such batteries is often designed to create a longer-lasting experience when out in the air. Even so, you may also find options down the road that work with rechargeable batteries. These are often easier to use and much more affordable than having regular batteries that you would have to regularly dispose of. Even so, you will still have a limited amount of time with which to control your drone with before the battery power runs out and you have to recharge the thing. 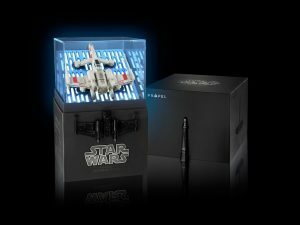 The excitement of an X-Wing drone is certainly something you deserve to see. One of these drones will be made with a brilliant design that features an attractive look that stands out and shows just how awesome your drone is.